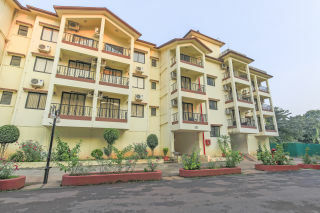 This is an offering of a two-bedroom apartment that can accommodate up to five people. 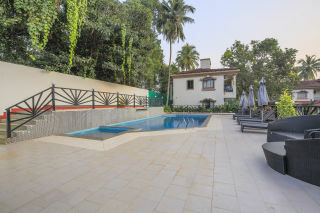 The property features a shared swimming pool and a swim up bar, and the retreat is ideal for a small family looking to explore Goa. 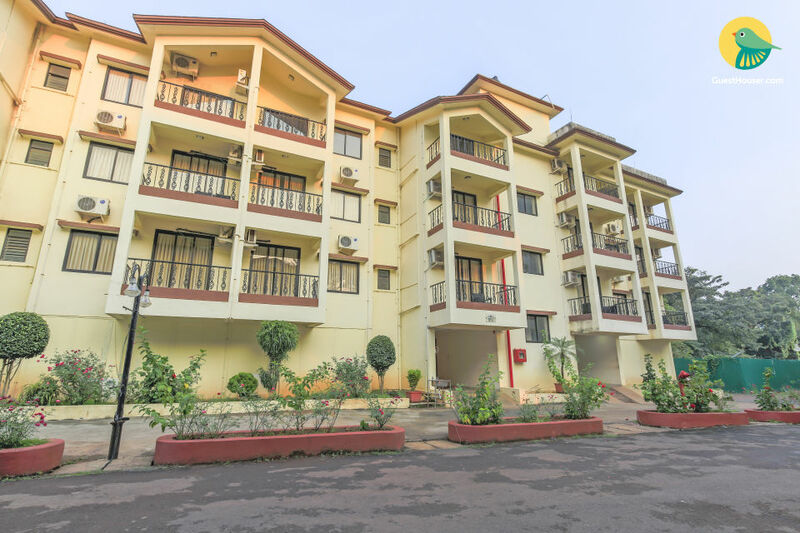 Your Space Part of a well-established complex, this holiday home is furnished to provide a comfortable stay. 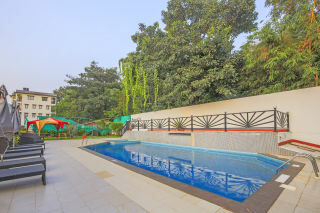 The property features a shared swimming pool, where you can take a rejuvenating dip at any time of the day. 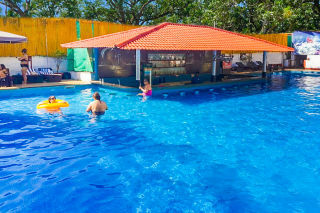 There is a swim up bar at another part, so you can order a drink or two without leaving the pool. A canopy-style sit-out makes for a nice spot to spend your evenings in, bonding with your travel buddies. The property also boasts an in-house restaurant for mealtime convenience. The retreat is elegantly decked, so you have a memorable stay. The living room is appointed with sofa chairs, a coffee table, a flat-screen television, and a small kitchenette at one corner. Each bedroom houses a comfy double bed with side tables and lamps, ample wardrobe space, and a wall-mounted mirror. The abode is centrally air-conditioned for added comfort. Guest access You are allowed access to the swimming pool, and the swim up bar, where you can savour a drink or two. The in-house restaurant and the common sit-out make for great spaces for you to relish a meal or indulge in a good chat. Guest interaction The staff at the holiday home will be happy to help you with anything you might need. We are available on call, should you wish to speak to us. 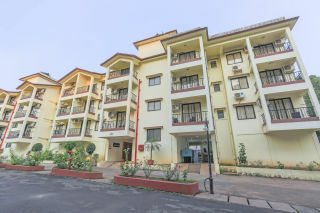 Neighbourhood Overview Our property is located in the vicinity of an array of local eateries and pubs that include Soro-The Village Pub (1.5 km), Ciao Bella (2.2 km), Bean Me Up (3.9 km), and Thalassa (5.5 km). 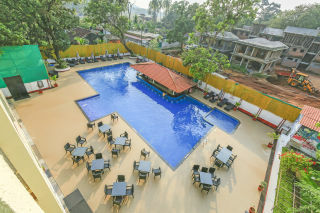 Getting around The holiday home is located 14.4 km away from Thivim Railway Station, and 41.8 km from Goa International Airport. 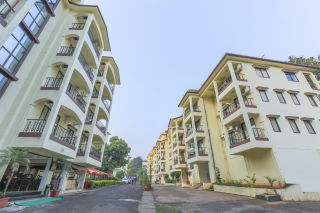 You can avail the services of a cab to reach the property conveniently. Additional Information We provide the services of a chef at an additional charge for your mealtime convenience. Guests are requested to provide valid ID proof at the time of check-in. Housekeeping,chef,laundry,pick up and drop is chargeable.